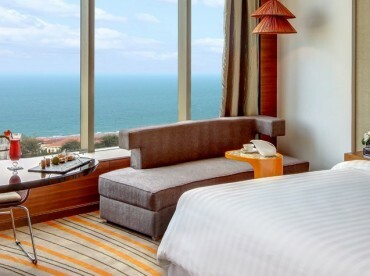 Panorama windows to let in sunlight and views of Vung Tau. Smart layout and 40 sq m (431 sq ft) of space for living. Functional contemporary design that keeps the focus on comfort and performance. Signature furnishings and amenities make the Pullman Superior room a place for globetrotters to work or play in style. Travelling doesn’t mean losing touch. Free high-speed Wi-Fi and plug-and-play technology make staying connected effortless. And Pullman room service delivers fresh international and Vietnamese cuisine from Riviera restaurant any time of day or night.